An inventory of physical impactsources (noise, vibration, EMI, and others) is conducted through instrumentalmeasurements and/or calculations of noise level at control points. 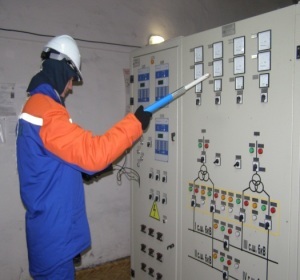 Measurementsof physical impacts are carried out by highly qualified specialists usingmodern equipment certified and registered in the Republic of Kazakhstan. Air monitoring is a system of monitoring air pollutionby physical factors operated at population centers, as well as in localindustrial monitoring. Maximum permissible standards of hazardous physicalimpact on the air are the standards which are set for each source of noise,vibration, electromagnetic and other physical impacts on the atmosphere, in whichhazardous physical effects do not exceed the maximum permissible level ofphysical impacts on the air. All industrial facilities andorganizations are subject to mandatory regular certification of labourconditions. The certification is carried out at least once every 5 years. (The LaborCode of the Republic of Kazakhstan, GovernmentDecree No. 1457 of December 5, 2011 “On Approval of the Rules of MandatoryRegular Certification of Industrial Facilities in Terms of their LaborConditions”). In addition to the standard base laboratory, ourcompany has a mobile one intended to determine pollutants in the air basin,surface water, groundwater, wastewater, sediments, soil and industrialemissions. Also, we have the ability to assess a radiological situation inresidential areas and the degree of radioactive contamination of raw materials.